This 2 mile (one way) trail at the base of Beaver Creek is a nice spot to test your trail running chops. The dirt singletrack rolls along without too much intense elevation gain or technical footing. 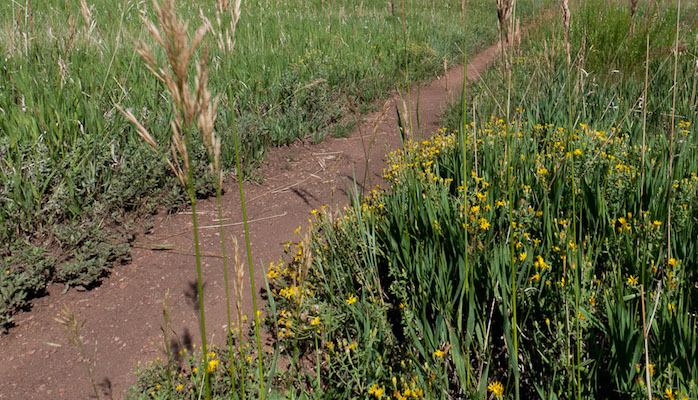 It also stays relatively mud free — somewhat of a rarity for trails in Vail! Park on the trailhead off Grouse Court and head south east. You’ll get most of the climbing out of the way on the route out, which winds alternatively between forest and the edge of the golf course. Turn around at Eagle Drive and enjoy a gentle downhill gallop on the return.